Maximize the full potential of your roller chain and sprocket life with chain tensioners and idlers from Black Ace Parts®. Our extremely durable Snugulator® and IdleMaster® decrease the amount of movement required to keep your chain moderately tensioned, eliminating chain run-out and reducing chain flexing to create a smooth, free chain run. 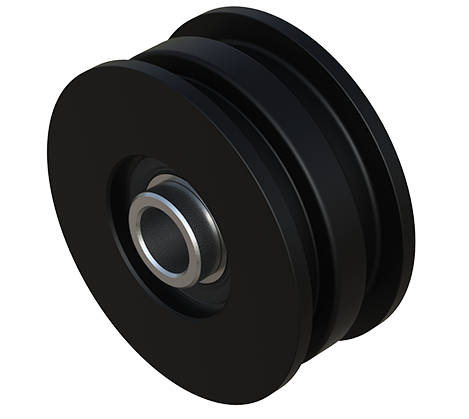 Because our chain tensioners and idlers rotate freely with the speed of the roller chain, roller spin and chain whipping are eliminated, which in turn greatly reduces excess noise. In addition, these heavy-duty products are insensitive to chain wear to remain independent of chain pitch, and are great enhancements to a wide variety of equipment. The Snugulator® is usually used on the slack side of the roller chain drive and used on the tensioned side with very little deflection. Snugulator® Tighteners are available with and without flanges. Use a flanged Snugulator® for longer span chains and belts. 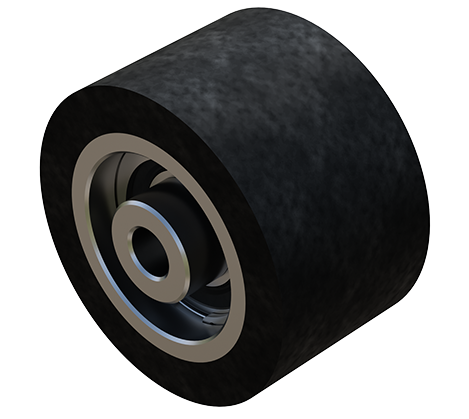 The Snugulator® should be placed a proper distance from the sprocket for minimum pressure. 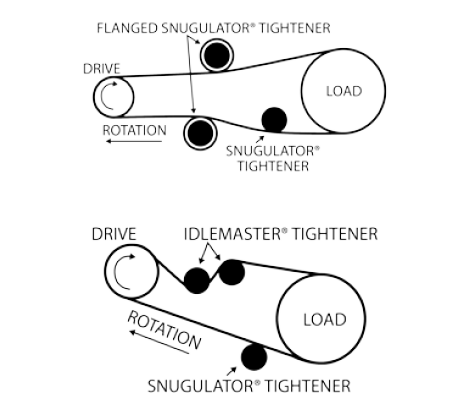 Unlike many idler sprockets, the Snugulator® Tightener lasts a long time and is not sensitive to chain wear. Both new and worn chain can safely run on the same Snugulator®.